An iconic sculpture by Romanian artist Constantin Brancusi has been removed from the National Art Museum in Bucharest after staff were left unable to gather enough funds to insure the priceless artefact. Wisdom of the Earth, a sculpture considered to be one of Brancusi’s defining works, was taken off public view last week. A lawyer representing the sculpture's private owners said that the museum could not afford insurance for the modernist masterpiece, prompting the collectors to move the work elsewhere. The Romanian Ministry of Culture, which led a campaign in 2016 to bring the sculpture back into public hands, also refused to respond to requests to foot the bill, the lawyer said. 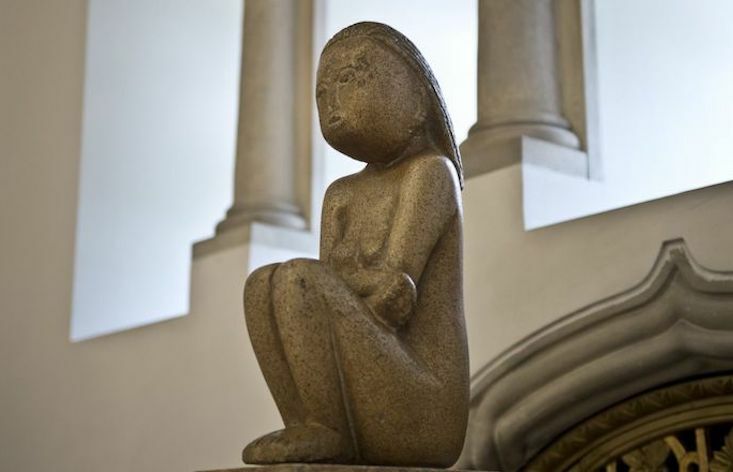 Brancusi’s sculpture, which shows the stylised figure of a young woman with her knees drawn into her chest, was put up for sale with an €11m price tag two years ago. The Romanian government, then led by Dacian Ciolos, pledged €6 million to bring the sculpture back into state hands, but failed when a public donation drive fell short of its planned €5 million target.